Even with proper diet and exercise, some areas of excess fat are difficult to target effectively. At Skin Deep Laser MD, we now offer SculpSure™ – the latest in non-surgical fat removal treatments. This revolutionary technology restores trimmer, more youthful body contours in less time with minimal downtime. Skin Deep Laser MD is located in Fort Worth, Texas and is led by Dr. Laura Riehm. Contact us today to schedule a consultation and find out if you are a candidate for SculpSure™. We are proud to be the first practice in the Dallas/Fort Worth area to offer this innovative technology. SculpSure™ is the first FDA-cleared laser treatment for the abdomen and love handles. Utilizing non-invasive lipolysis technology, this state-of-the-art alternative to surgery uses controlled, light-based technology for patients who are seeking fat reduction with less treatment and zero downtime. A great alternative to surgery, non-surgical fat removal with SculpSure may be right for you. The hands-free SculpSure™ device targets fat cells below the dermis, using precise wavelengths of energy that do not damage surrounding skin or tissues. Over time, the body will eliminate these fat cells naturally, resulting in tighter, more toned body contours with no incision scars. What Can I Expect from a SculpSure™ Treatment? Am I a Good Candidate for SculpSure™? Men and women who have excess fat in the abdomen and love handle areas and who have flexible skin may be candidates for SculpSure™. This treatment is a proven solution for fat reduction but is not a substitute for diet and exercise and is not a weight loss solution. During your consultation, Dr. Riehm will evaluate several factors such as your health, medical history, cosmetic goals and expectations to help you determine if SculpSure™ is right for you. The body’s process for removing fat cells is gradual, but most patients begin to see visible results in about six weeks, with full results usually occurring at about 12 weeks. The targeted fat cells are permanently removed, but major lifestyle changes such as pregnancy and weight gain can adversely affect results. Your toned, trim body contours can be maintained through a proper diet and exercise regimen. Based on your desired results, multiple SculpSure™ sessions may be required. SculpSure™ has been cleared by the FDA and is clinically tested with a proven safety profile. This is a painless, well-tolerated procedure that can be performed in 25 minutes with no visible signs of treatment. Results may vary from patient to patient. Doctor Riehm will create a treatment plan for you to create optimal results and immediately return to your normal activities. 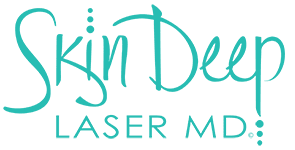 Contact Skin Deep Laser MD today to schedule a consultation with Dr. Riehm and find out if SculpSure™ non-invasive laser fat removal is right for you.